One of the scariest areas for people to venture into, is the use of color in their home. It is true that there are multiple things to consider, such as light, undertones and reflective values. This is second nature to the trained professional, but can be unnerving to many homeowners. 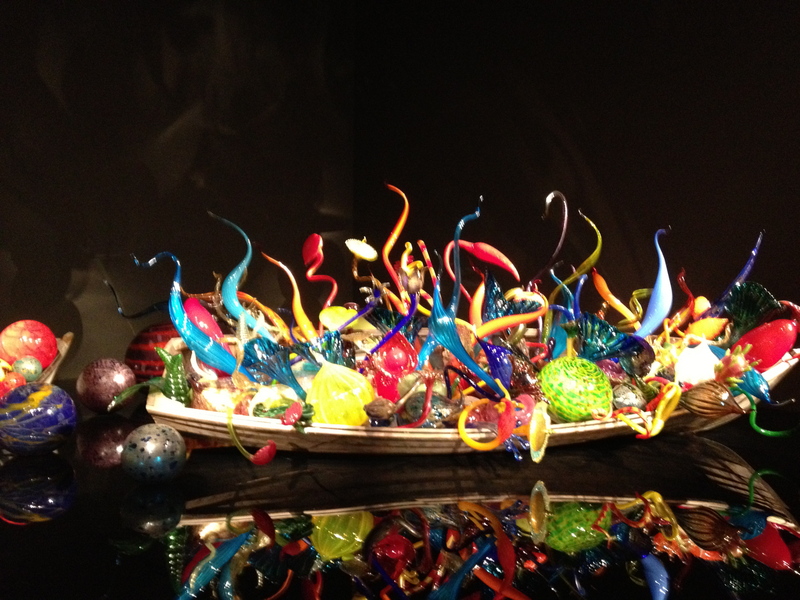 Recently, I viewed Dale Chihuly Garden and Glass at the Space Needle. 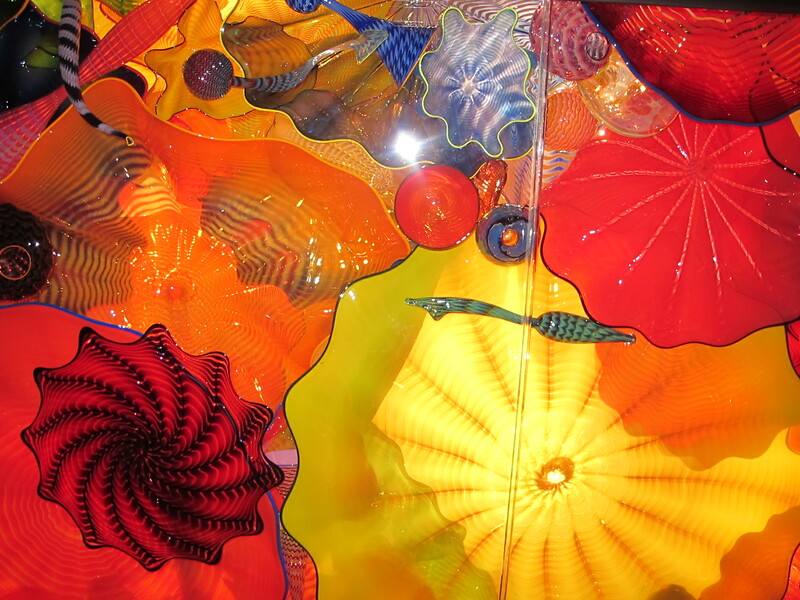 Chihuly designed the exhibit to create a color experience that would “overwhelm the viewer with light and color” in a way they could not imagine. The photo of Ikebana and Float Boat, above, is one such example. The colors pop against the reflective black background. The intensity of the colors and the multiple glass shapes were mesmerizing. This photo is of a Persian Ceiling. As you walk under it. Color envelopes the space. What this exhibit demonstrates to me is what color, in the right amounts, can bring to a space and why we should not fear it. Have a colorful day! Here is a house I just finished. I was able to make many changes to complete the transformation. 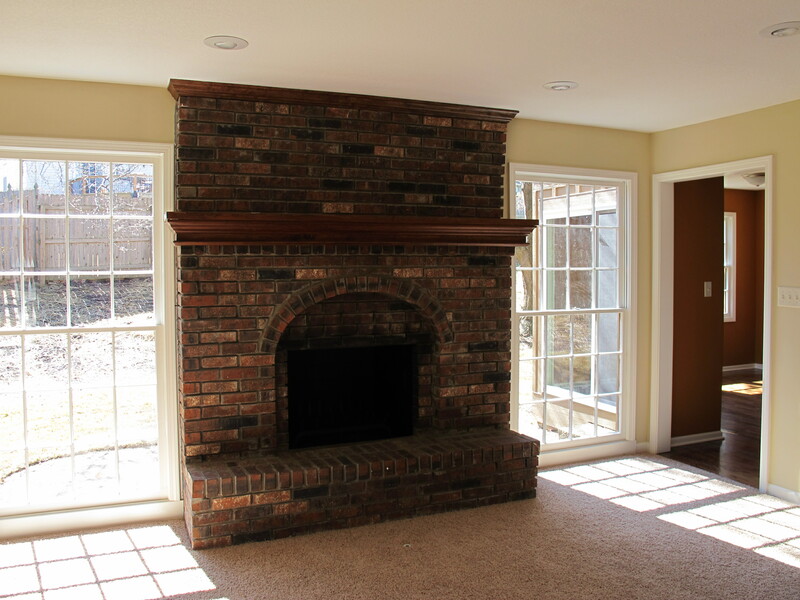 The house had good bones and a great floor plan. This house is on the market and will make a great home for a growing family. I hope some of the tips will be helpful to you as you complete your projects. 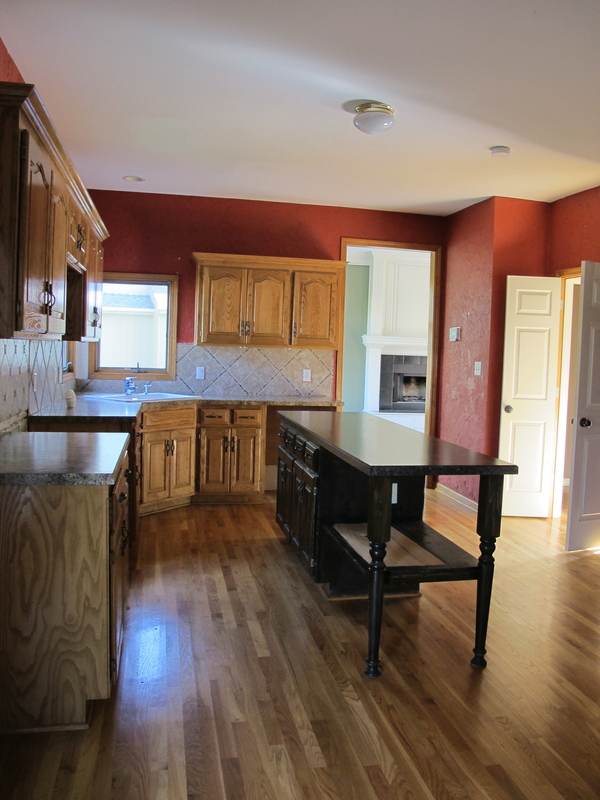 The red walls had a rough texture and the golden oak cabinets had to go. It made the space dark. The floor was also stained a golden oak hue. The counters were nice but I knew granite would be a better fit for this upscale home. Here is another view before I show you the after. They did a nice job with the back splash in a tumbled stone. Here is how this room turned out. 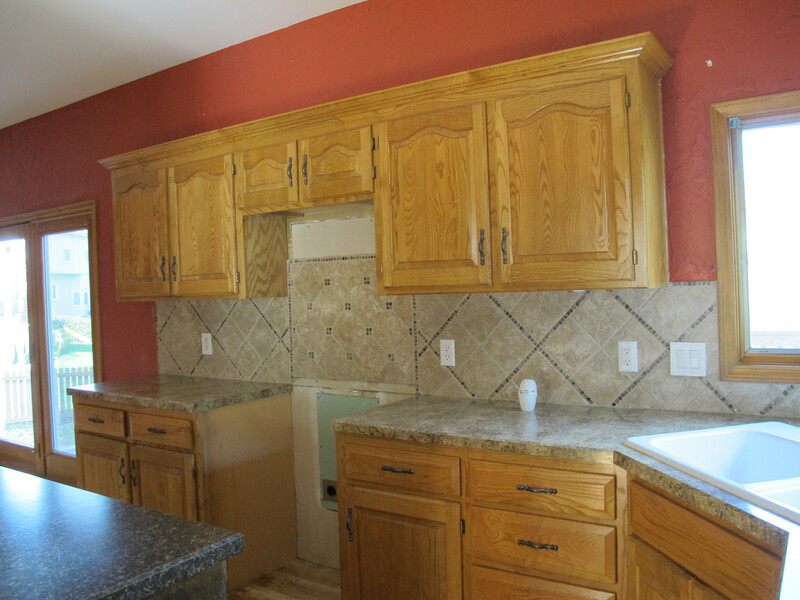 The cabinets received a stain overlay. The floor was refinished in a warm hickory. 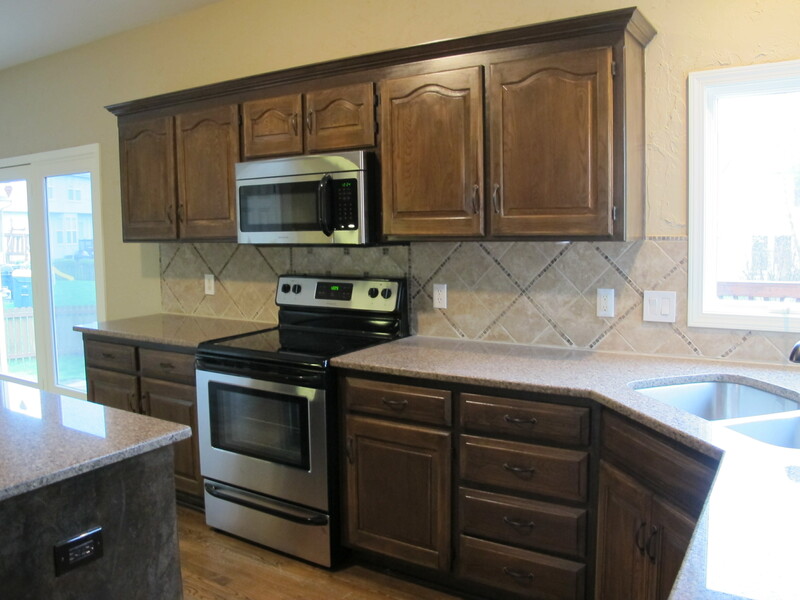 Granite tops with an undercount sink and stainless appliances finish the room. The walls were painted a warm tan to visually expand the space. A flat finish diminished the rough texture of the walls. 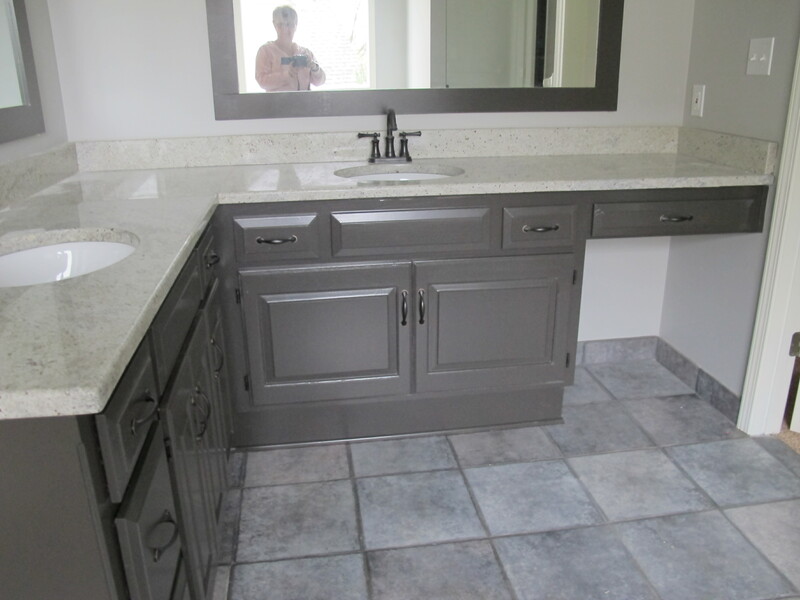 Well as you can see the red cabinets and grey tile did not lend itself to a master bath retreat I had in mind. So after some paint, a counter, new mirrors, lights and a little deconstruction…. Here is what I did. 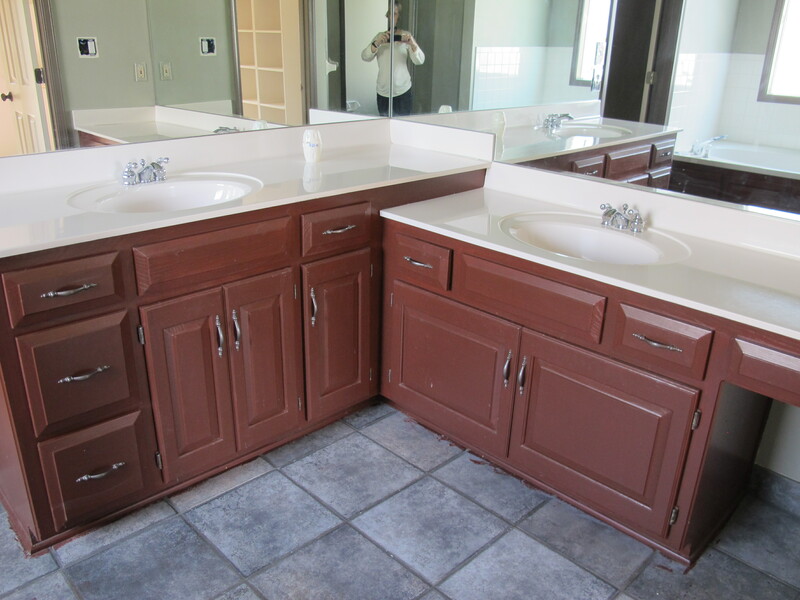 The vanity on the right was raised to the same level as the other. A granite top with under-mount sinks and antique bronze faucets were added. The vanities were painted with Sherwin Williams Seal Skin and the mirrors were removed, cut down and framed with 1 x 4s. The spa tub received new tile and faucets. This bath is ready for a new family! I hope this inspires you. A little paint and some light modifications can really to along way! 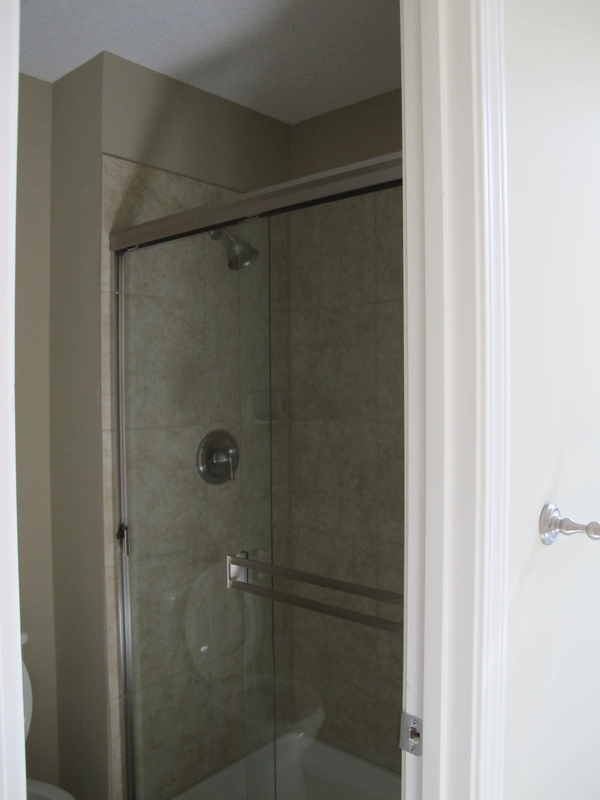 The simple act of changing out lighting and door hardware can take years off of your home. More before and afters tomorrow! Here are some more before and after photos. 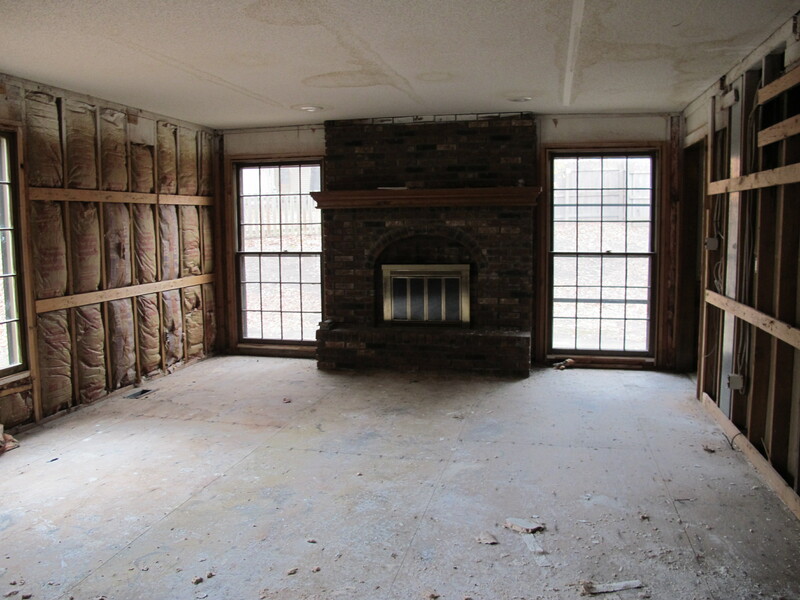 This house sat abandoned for several years before it was purchased and updated with paint, new hardwood flooring, carpeting and a new kitchen and bath. Paint is the best way to get the biggest impact on a budget. 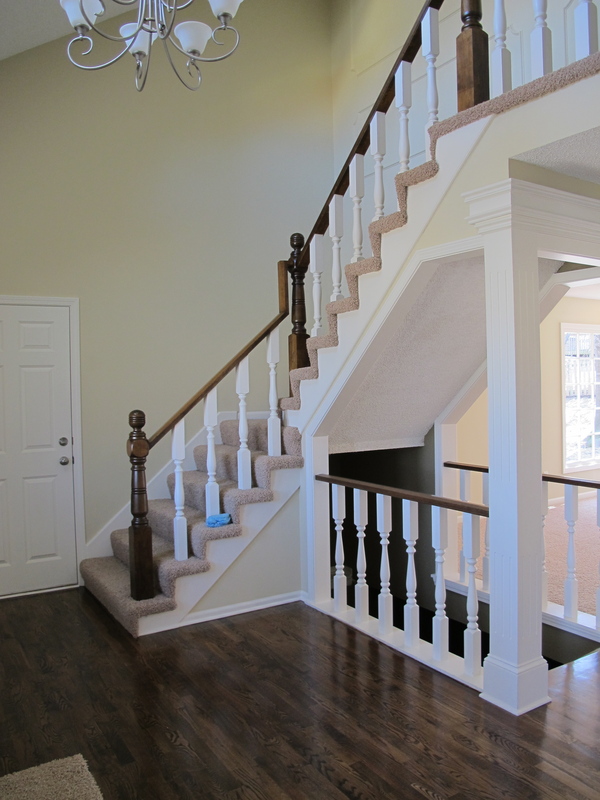 As in the photos that were previously posted painting the spindles and woodwork was an easy way to update this foyer. 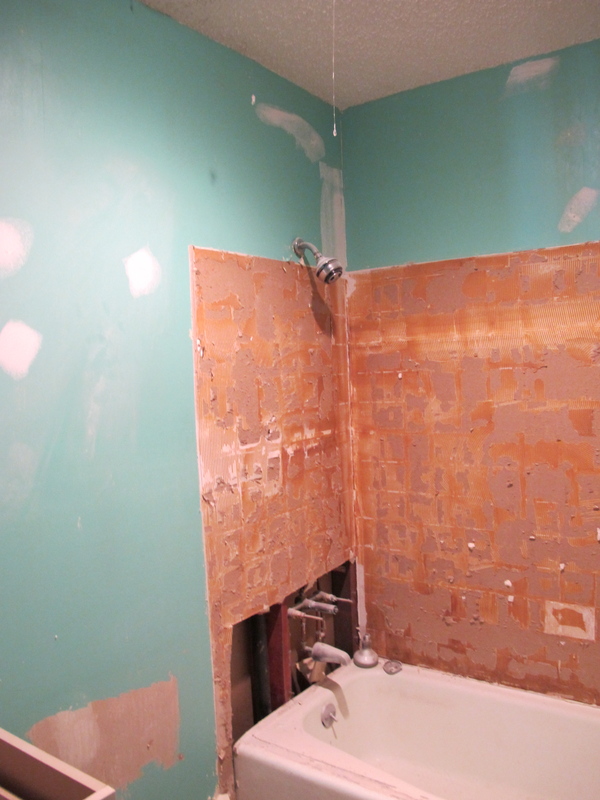 Here are some before and after shots for the bathrooms and family room. Walls were given new dry wall, paint and carpet. I hope these inspire you to tackle some projects! Every good design project always starts with a plan. It is worth taking some time to think through your project. What do I want the end result to be. Whether it is a large scale project such as a room renovation or addition, updating an area or creating a spot in the garden to relax, it all starts with a plan! Most recently, I have been involved with 3 kitchen projects. The footprint will remain the same with modifications to the counters, floors, walls and accessories. A plan was developed with a timeline, wants and needs and, most importantly, a budget. When I undertake a project, it is important that it looks complete at each stage, especially when the project will take time to complete because of budget constraints. In this economy, you may not want to take on additional debt, but might prefer to break the project down into small increments. 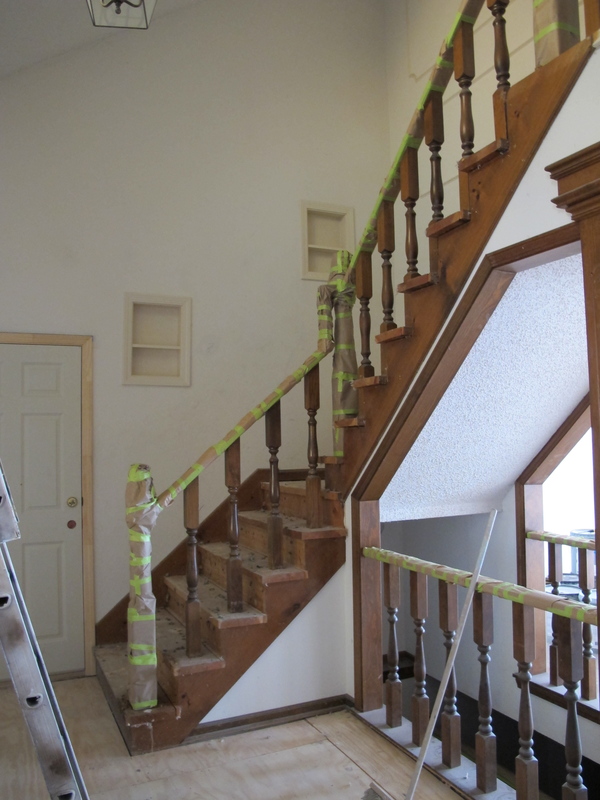 For example, for one homeowner, new paint color for walls and cabinets, replacing baseboard trim with a wider version and adding crown molding was just the beginning. They also replaced cabinet hardware, added granite countertops, had the hardwood floor refinished, added a new area rug and updated the window treatments, lighting and some artwork. These changes alone have transformed this space to the light, bright beach environment reminiscent of their favorite vacation destination. The other 2 kitchens are in the beginning stages. New appliances have been installed and the search has begun for new lighting, cabinet hardware and counter and backsplash tile. The cabinets will get a refreshing stain and varnish application. I will post before and after pictures when those projects are completed. Design tip for today. Begin with a plan. Start by searching magazines for pictures of rooms that you like. Ask yourself, what is it that I like about this room; what feeling does it evoke; are there particular objects or treatments that I like and then make a file or a board with the items that you want to incorporate into your room. Working with a designer will save you time and money by avoiding costly mistakes.